Day 25. High Sierra Trail. July 15, 2016. 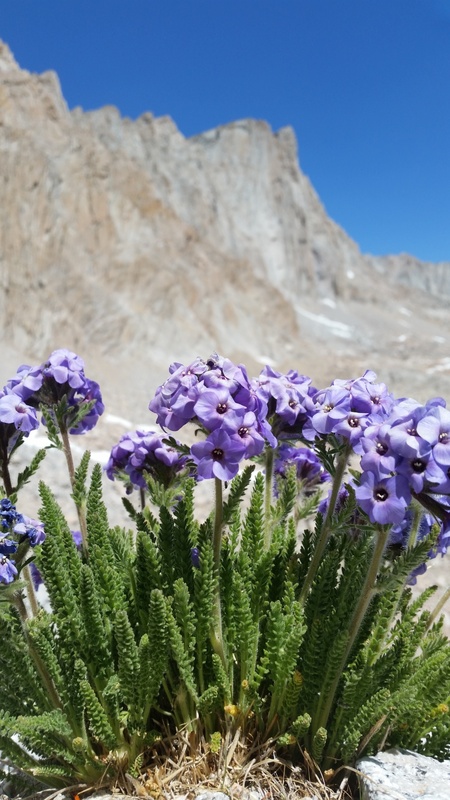 Love Note, Lady Juniper and Huckleberry (the dog) drove us up to Whitney Portal. Trail miles seemed monotonous today. We were definitely not on the Sierra High Route anymore. 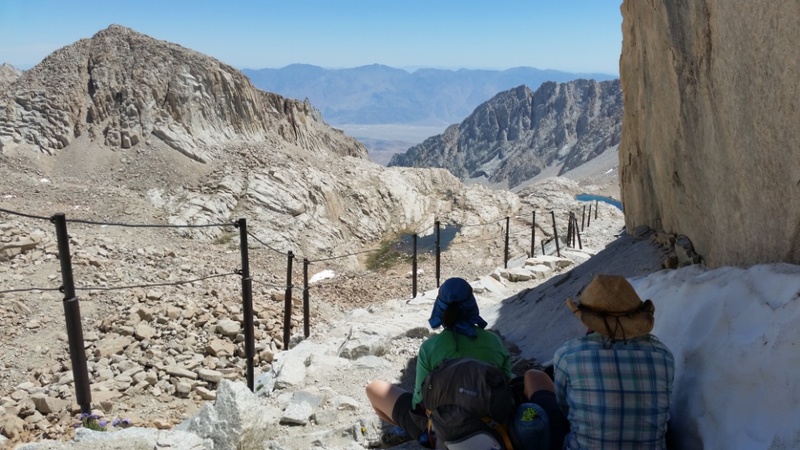 Lots of people were on the trail going up Mt Whitney. But really I expected more people. At Trail Crest we could have turned right towards the summit but none of us felt the need. We have all been up multiple times. So we headed down toward Guitar Lake. 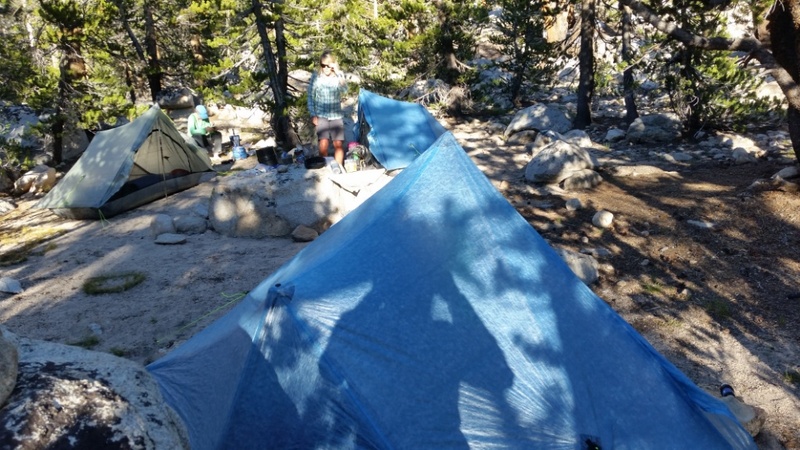 We are now camped at Wallace Creek with lots of other hikers (mostly John Muir Trail hikers) and a bearbox. 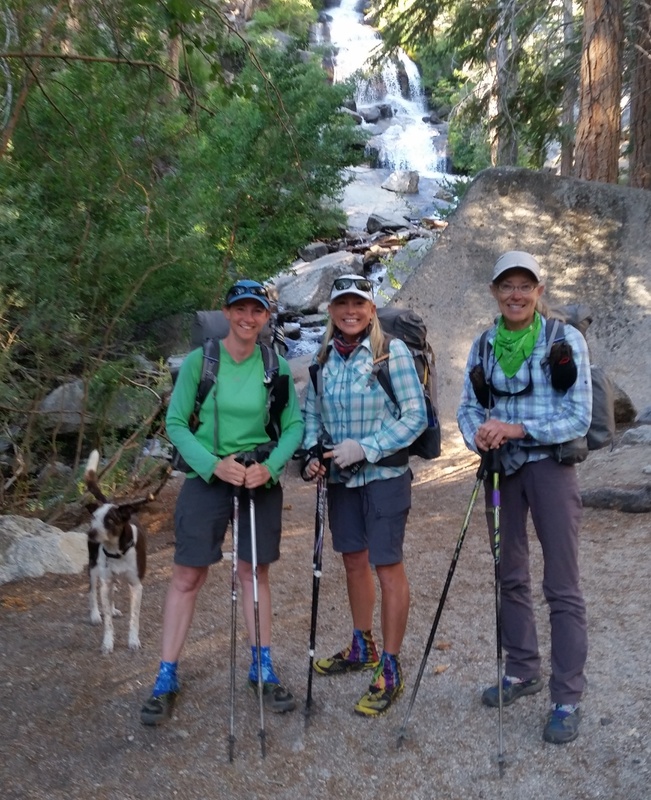 We met 7 people that are also doing the High Sierra Trail but the opposite direction. They all say it’s gorgeous especially Moraine Lake. Such a different trail without snow, especially the portal climb to the crest. Neither the posts nor switchbacks were visible. I’m sure you’ll body and mind will thank you for the break from challenging off-trail as your recover and regroup for the Winds. Snow makes it more beautiful. And a whole lot more challenging as you well know. Getting a bit jaded? The climb over Whitney is boring? You are such a beast on a trail. Thanks for the journal. Ha, ha. I almost didn’t post that thought. 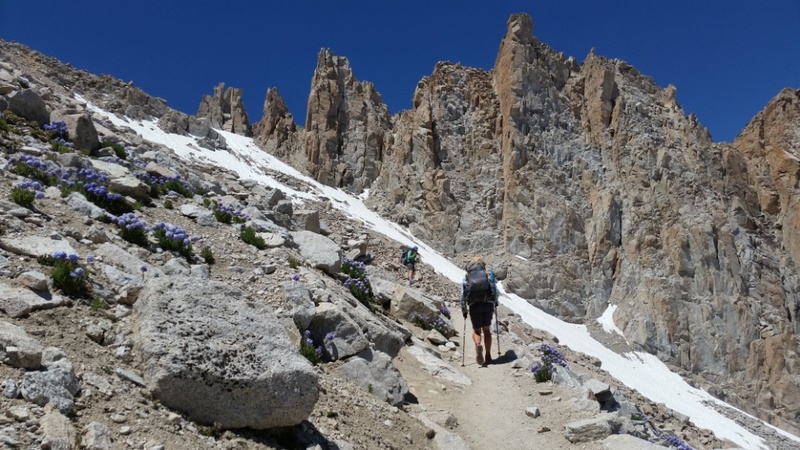 It was just such a huge contrast to the Sierra High Route. But the 3rd day was just spectacular and made me forget everything else. 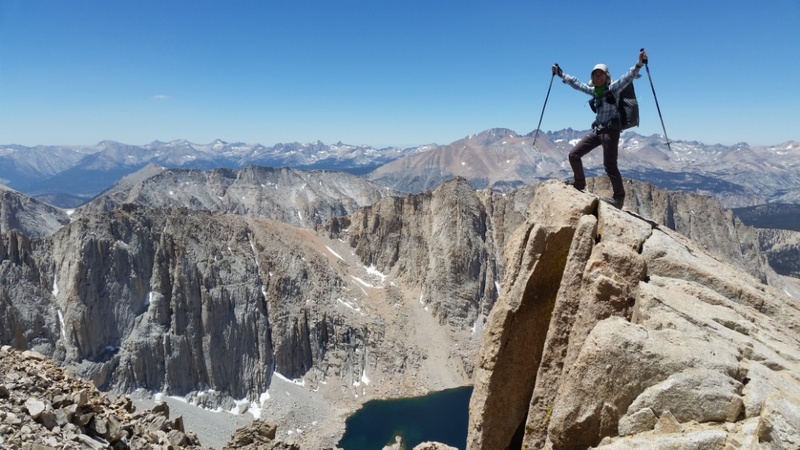 The High Sierra Trail is definitely worth doing. I like the looks of this trail. Thanks for the inspiration.